Get top tips on healthy living and monitor blood pressure as you keep an eye on your diet, cholesterol intake, exercise, and good sleep habit. See how to use a healthy living blood pressure monitor too as you see your blood pressure come down with every 5 percent weight loss you achieve. Practice healthy living and monitor your blood pressure is what my doctor has been telling me for years. It wasn't until the last year that I began to finally understood what that could mean for my life. 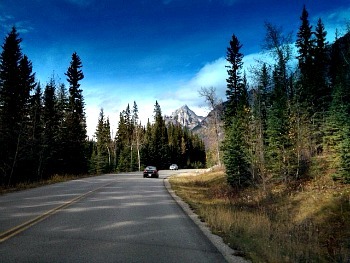 Working to achieve a healthy lifestyle could sometimes be like traveling on a lonely road. Do not despair. Keep on at it. If you are obese, make sure you get a grip on your blood pressure in good time. As you work to get your weight under control, work on a target of 130/80mmHg readings for your blood pressure. Watch what you eat. Go for cholesterol reducing foods like oats, olive oil, avocado, spinach and omega 3 rich fish. Be alert to a healthy living and monitor blood pressure at home or with your family doctor regularly. Being overweight or obese increases the dangers a raised blood pressure that is left unmonitored can cause. Even more so if you are diabetic. A persistently raised blood pressure above 140/90mmHg greatly increases your risk of developing stroke, heart attack, heart failure, kidney failure, sexual dysfunction and even reduced mental ability. If you are NOT obese, or diabetic, and do not have any other medical problem, a blood pressure level of 160/100mmHg will need treatment with medications. For the obese, diabetic, smokers, high levels of cholesterol, strong family history of heart disease, or sudden deaths, treatment of high blood pressure with medication is required at an earlier level...usually at 140/90mmHg. So, get on the habit of regularly monitoring your blood pressure. This will help you and your doctor know when to start treatment of high blood pressure or hypertension if you develop one. High blood pressure refers to a high level of tension in your arteries due to blood flowing at greater than normal pressure, and it's often called "hypertension". Prolonged hypertension greatly increases your chance of developing heart diseases, and having a heart attack or stroke. So it is critically important to take what steps you can to find some treatments and cures for high blood pressure that work for you. Whether you suffer with hypertension or not, it is a good idea to get a blood pressure monitor at home for yourself to monitor your blood pressure. This is because hypertension is a silent illness. It creeps upon you when you do not expect it. Unannounced. Measure your blood pressure at home twice daily and keep the record. Your own measurements at home are generally better and more reliable than that done by a doctor in the office or clinic setting, in determining treatment and likelihood of you developing complications of raised blood pressure. Be sure to get one with the right cuff diameter for you. If you are obese (BMI greater than 25), you will likely need a large of extra-large cuff on the monitor. Many doctors prefer the blood pressure machines with a arm cuff rather than those with wrist cuffs. If you are very obese though, wrist blood pressure reading may be best for you. Make sure you get a blood pressure machine specially designed for taking blood pressure measurement at the wrist. Take a seat in a quite place, with your back resting against a wall. Take your blood pressure reading twice. Record the lesser of the two readings. Record your blood pressure in the morning and in the evening for 7 days and keep the record. 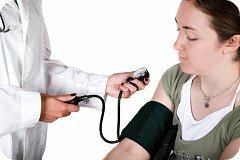 If your blood pressure reading is more than 140/90mmHg, you must discuss this with your doctor. 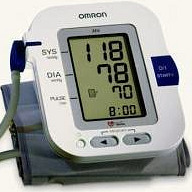 You can get very reliable well calibrated blood pressure machines online from dedicated health store like Medisave. A healthy diet can be a cure for high blood pressure for many. This of course means low fat and low cholesterol foods, but it especially means avoiding too much sodium. No cure for high blood pressure is going to work if you eat a lot of sodium, so try not to put too much salt on your food and keep an eye on the sodium quantities in the foods you buy. Canned goods and precooked frozen items are often extremely high in sodium. The best diets to lower your blood pressure are the low fat diets and Mediterranean diets. 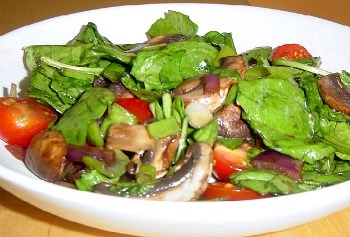 Add more of avocado, spinach, oats, olive oil and mackerel fish to your diet. Also, avoid too much alcohol, caffeine, and stimulants, and don't smoke, ever. Smoking wreaks havoc on your blood pressure. Any kind of stimulant will boost your blood pressure considerably as well if taken in excess. While drinking alcohol in moderation generally lowers blood pressure, avoid taking more than 2 -3 glass of wine per day if you are male and certainly no more than 2 glasses per day if you are female. All doctors will tell you that exercising and keeping an active and healthy lifestyle is a great way to effectively reduce any hypertension. Even mild exercise done frequently, such as a short walk everyday, has been proven to be an effective cure for high blood pressure. The greatest cause of high blood pressure is inactivity, and due to our increasingly sedentary lifestyles hypertension is steadily on the rise. Another thing doctors will tell you is to maintain healthy living and monitor blood pressure and weight. Obesity forces your heart to work much harder than it should in order to get blood to reach all the places it needs to go, which raises your blood pressure considerably. Just keeping a healthy weight can be a cure for high blood pressure for many people. This is of course easier said than done if you are overweight. 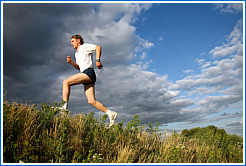 Ideally, by boosting your activity levels as discussed above, you'll also be losing weight. So once again, exercise, and more exercise! Above everything, the best way to look into finding a cure for high blood pressure is to see your doctor and you too will hear the mantra you need healthy living and monitor blood pressure on a weekly basis. Because hypertension can have a number of causes, he or she may be able to help you narrow down your focus. For people that have tried everything discussed here and still have high blood pressure, a medication only your doctor can provide may be needed. Return to Healthy Lifestyle from Healthy Living and Monitor Blood Pressure.